For the last eight years, Amber Miller’s wide smile and purple-streaked hair has made her easy to spot at dozens of concerts all over the Kansas City metro. She has been a longtime photographer in the music scene, photographing both local and national acts for outlets such as Central Mo News, ITN, RockRevolt, and as one of the house photographers for Providence Medical Amphitheater. That has changed a bit in the last year, as she stepped back from music to pursue another passion. She traded her Dodge Charger for a Jeep Wrangler, both painted plumb crazy purple. She then got into taking her Jeep off-roading with different groups and found it to be reinvigorating. The change of pace is just what she needed at the time. 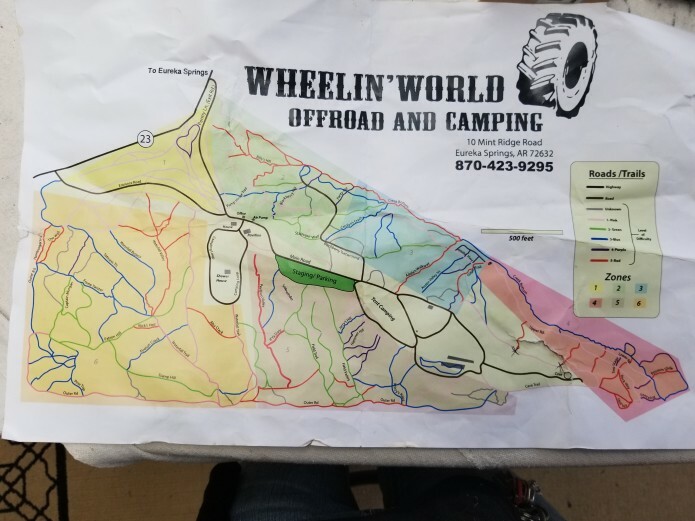 Miller is combining those passions with an IndieGoGo campaign to purchase Wheelin’ World Offroad and Camping Park in Eureka Springs, Ark. The park is set on 147 acres and features more than 50 miles of trails as well as a live music venue. Her goal is to raise $50,000 through the crowdfunder. However, Miller’s total goal is to raise $100,000. The money raised through the campaign would go toward the acquisition of the property, insurance, and property tax. 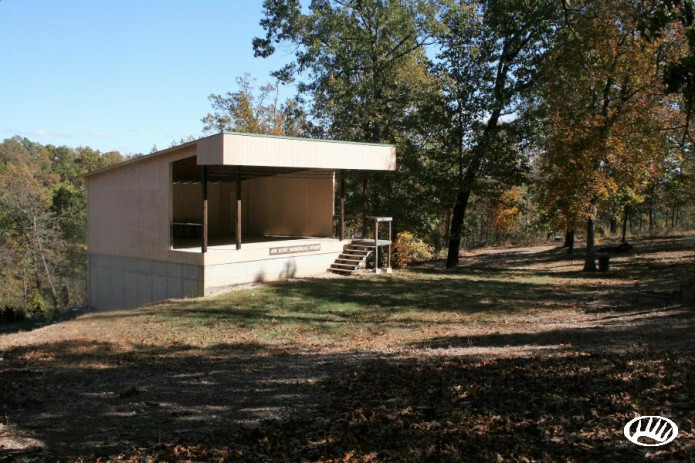 The remaining money would go toward improving the property, including making it more accessible for motorcycles, improving the bath house and pavilion areas, and building a shop to host classes on vehicle maintenance and providing a U-Wrench-It Bay. Any additional funds Miller plans to put toward educational classes, marketing, and operational supplies. Miller’s passion for her Jeep has led her to want to give back to the communities that have welcomed her over the years, both in music and off-roading. Over the last year, she has had an extremely pleasant experience with off-roading. That passion picked up when Miller decided to upgrade her Jeep four months after she bought it. The amount of support she got from people within the community caught her off guard. She said she was overwhelmed a bit when she realized the possibilities in front of her as a Jeep owner. 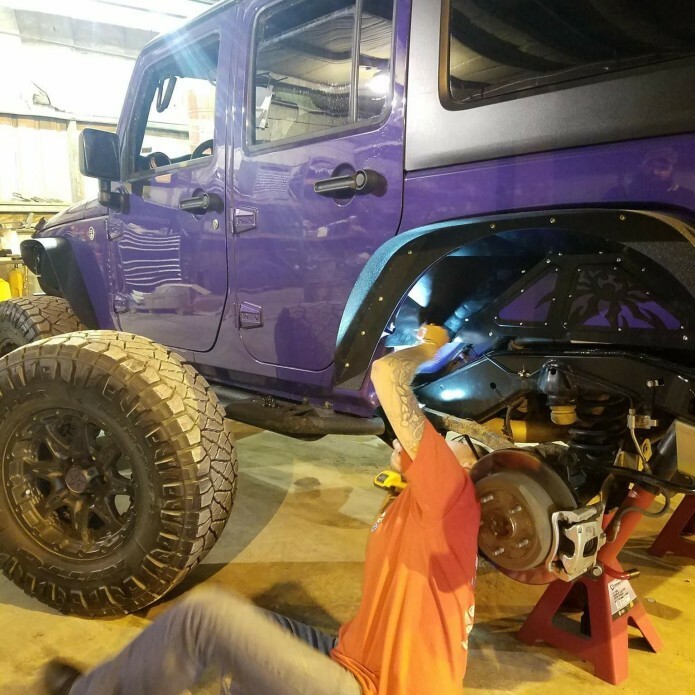 Amber Miller works on upgrades to her Jeep Wrangler, nicknamed Plumb Crazy. Miller felt strongly enough about pursuing the purchase of Wheelin’ World for a multitude of reasons. The first is because it is a job that combines the off-road and music communities she has come to love. While the park is structurally sound, it does need improvements to increase the amount of people who visit for both the trails and the music venue. But as life has grown stagnant for Miller, she looks at Wheelin’ World as a new direction. For Miller, owning Wheelin’ World is another way to help people, something she has been passionate about throughout her life. From providing people a place to stay in her home while they got back on their feet to being a cheerleader to someone who is down, Miller said helping people makes her feel good. Building a shop is another way to help by offering a place for people to work on their rigs. The IndieGoGo campaign marks another shift for Miller, in that she’s asking for financial assistance for the first time. Taking over Wheelin’ World means more to her than simply owning a business; it’s about supporting those two communities that have given her a lifetime of memories and giving back to them.